Thinking about English Primary education, trees, writing and cycling. Professor Kay Davies was on Desert Island Discs last week and she was asked about teachers who inspired her. She described a chemistry teacher who loved golf and would help her students set up their experiments and then pop off for a couple of hours to play a round. This gave the students plenty of time to talk and work things out for themselves. It's hard to imagine a teacher getting away with that kind of thing today. I'm always interested to hear stories like this. The teachers who change people's lives very often seem to be the eccentrics. I had a French teacher for two years who taught me more French than I learnt in the rest of my school career and let us use the French cupboard to listen to albums by Love and Captain Beefheart. I also had a teacher at primary school, Sister Marion, who let me and my friend spend three days designing and painting a very large imaginary bird. I can still picture the bird, fifty years later! 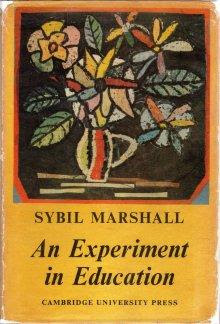 And thinking about this I'm reminded of Sybil Marshall whose book An Experiment in Education gives a description of the wonderful possibilities of primary education. One of the reasons I love this so much is that my mother taught for a year or so in a small primary school in the fens which must have been quite similar to Sybil Marshall's. The headteacher, who had been there for as long as anyone could remember, had a canning machine in the school, and when it was time for the soft fruit harvest everything stopped until the canning operation was over! The author at work...it's hard! I'm a children's author, teacher and musician. Sometimes I even manage to be all three at once.